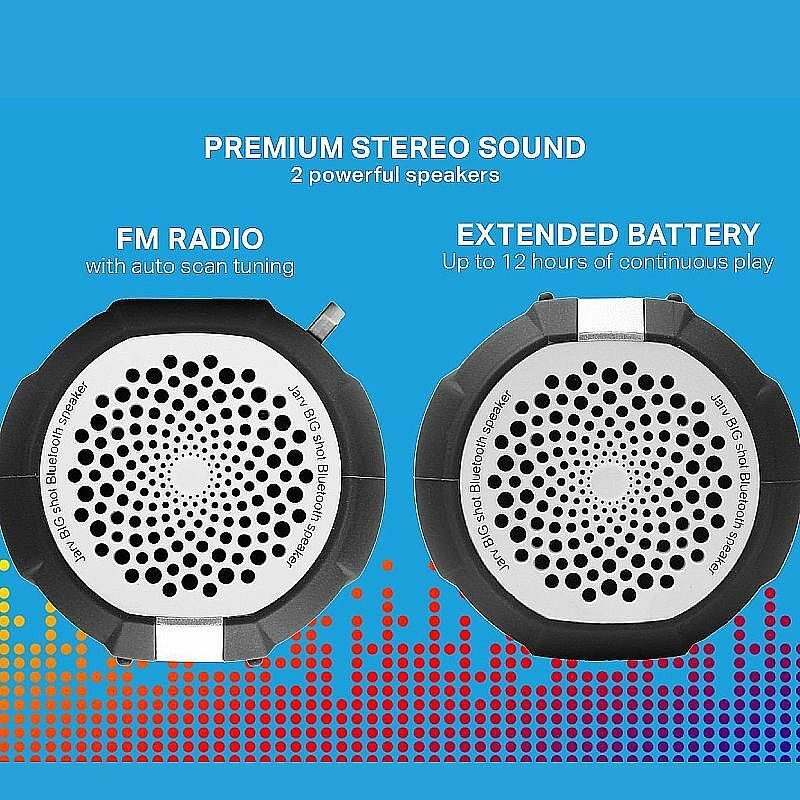 Bicycle speaker with premium sound from 2 x 3 watt stereo speakers. 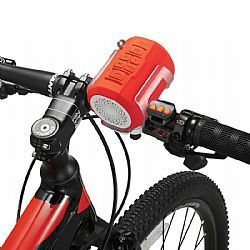 Included Bike Speaker Mount + remote control to enjoy music on the go! 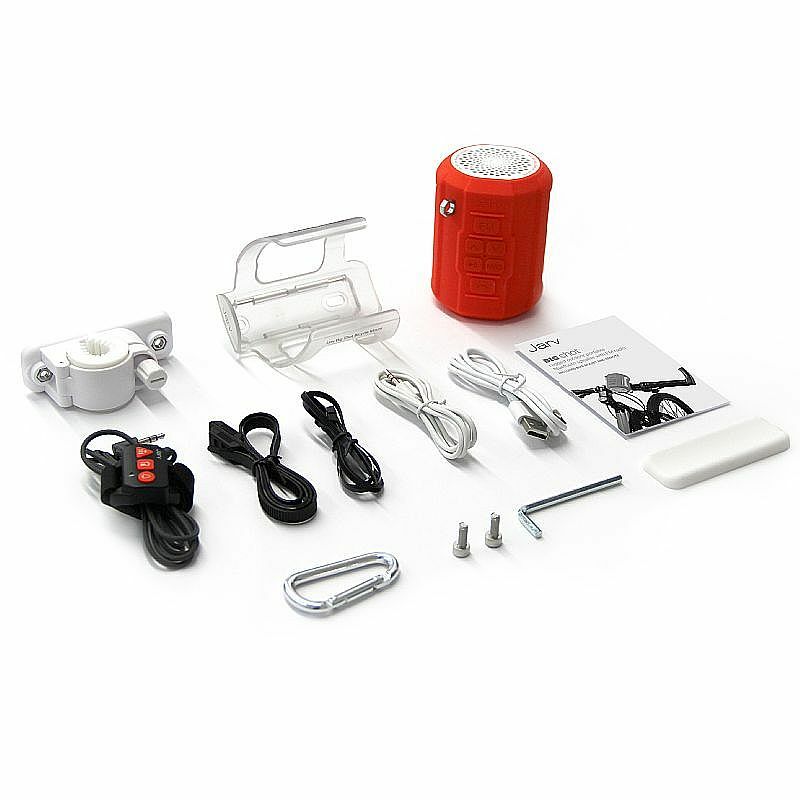 The Jarv Big Shot Bluetooth Bicycle speaker is a small, rugged and extremely portable speaker that offers HUGE sound! Looking for great sound form a small lightweight speaker? Look no more! Remote control for easy access to your music. 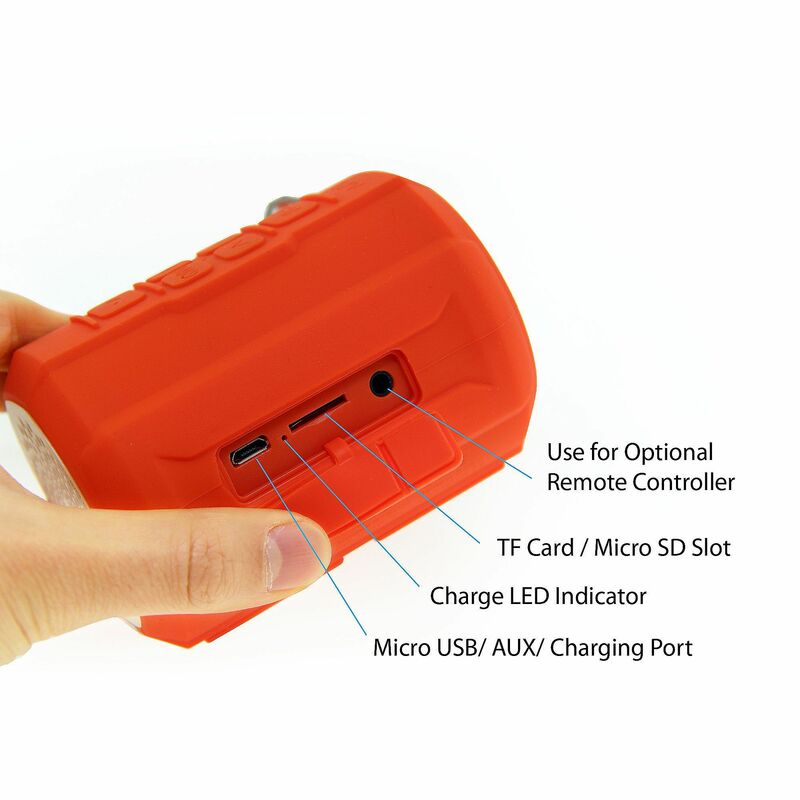 It’s compact and lightweight, perfect for use anywhere. 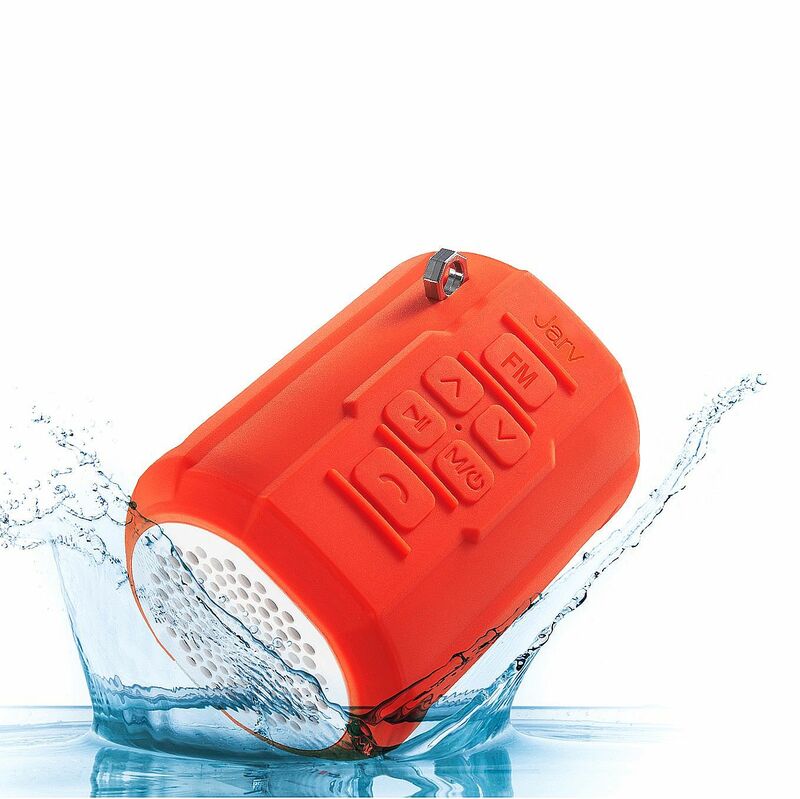 Outdoor ready, IPX5 rating makes the BIG SHOT water resistant and great for use in extreme conditions. 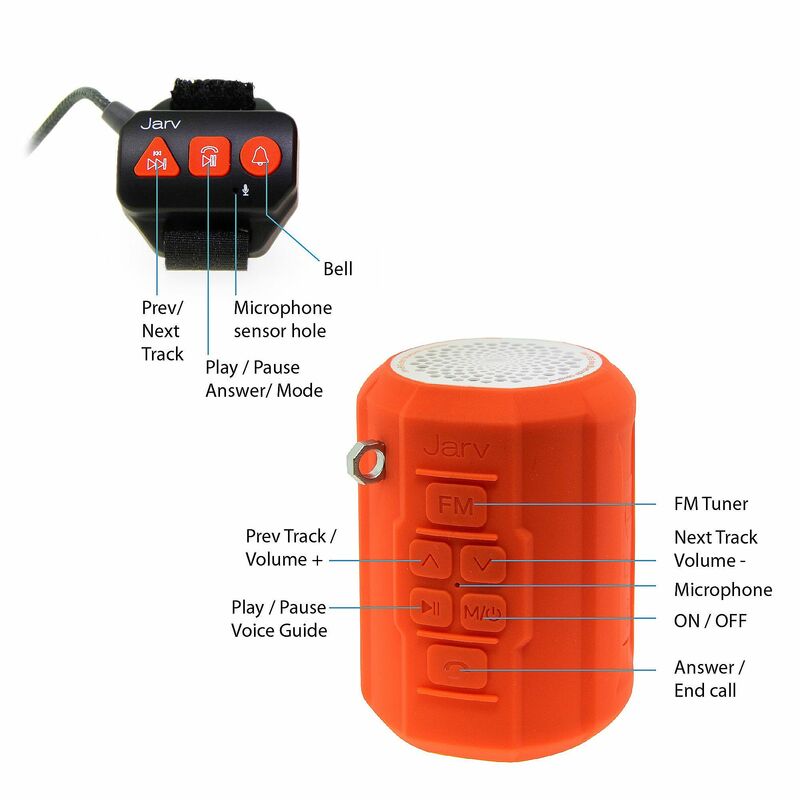 NOW includes a Bike Mount and Remote to enjoy your Big Shot speaker on the go! Built in noise cancelling microphone makes the Jarv BIG SHOT the perfect speakerphone, perfect for taking calls on the road!